Clea’s yoga classes create an environment in which it is truly possible to explore the seeming contradiction of feeling physically challenged, mentally connected and spiritually fed. Her creative combination of movement and stillness, challenge and rest, effort and release seamlessly employs her diverse background in yoga, fitness, gymnastics, breath work and meditation. Clea is a RYT Yoga Alliance certified Yoga Instructor with over a decade of teaching, group fitness and personal training experience. After completing Core Power Yoga’s 200 hour teacher training, Clea has continued to seek additional training from some of the leading yoga instructors nationwide. She has worked with and been inspired by Bryan Kest, Judith Hanson Lasiter, Marsha Wenig, Bhava Ram and Laura Plumb of Deep Yoga, Yogi Amrit Desai and Sharon Gannon, David Life and Seane Corn among many others. Always the student, Clea continues to practice, to expand her personal knowledge and to share her insights, fresh perspectives and learning with her own students. 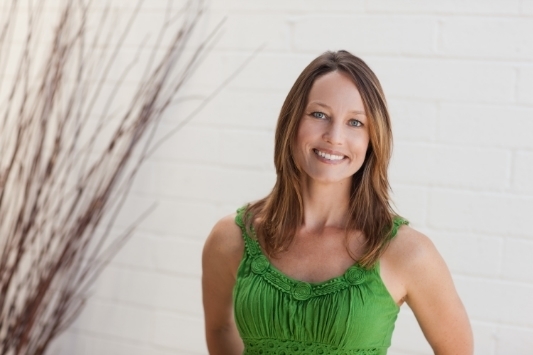 As a studio manager for CorePower Yoga, Clea helped to grow and nurture the San Diego yoga community of students and instructors, traveling, assisting with trainings, leading workshops and creating a thriving urban sanctuary for yoga in the Hillcrest studio. Clea enjoys teaching a variety of styles and communities including vinyasa, restorative, yoga for strength, children, families and pre-and-post-natal clients. Clea’s group classes are a powerful blend of active, flowing vinyasa, dynamic strengthening and toning and creatively choreographed freedom of movement paired with music that resonates and motivates. Clea offers yoga tailored to individuals, children, families and organizations. She is available for group or private sessions as well as events for a unique and personalized twist on meeting your physical, mental and spiritual goals. Connect with Clea to schedule your session today 619.567.9642 or via email at clea@cleashannon.com.